New Mercy Skin Released for Charity!! - miso! 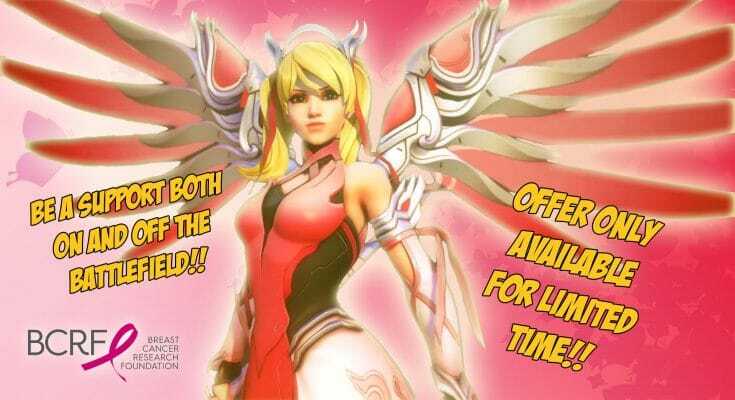 New Mercy Skin Released for Charity!! From now until May 21, you have the chance to be a hero and fight against breast cancer. 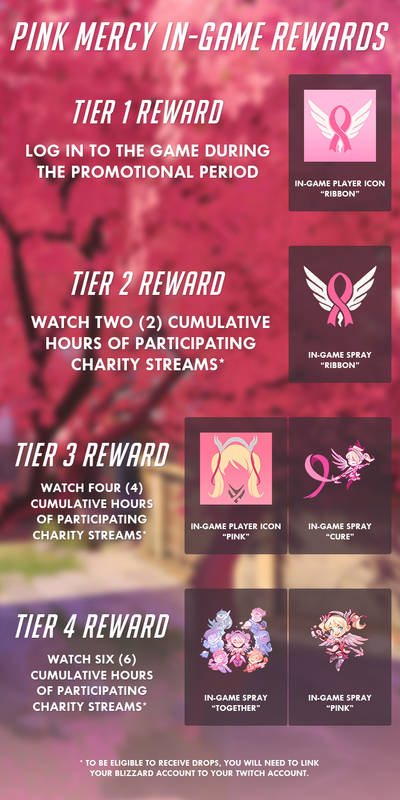 The Overwatch creative team has partnered with the Breast Cancer Research Foundation. The foundation is a New York based non-profit that prides itself on working to fund new innovation for tackling breast cancer. Blizzard has announced that 100% of all proceeds received from purchases of the skin will be donated to the foundation. 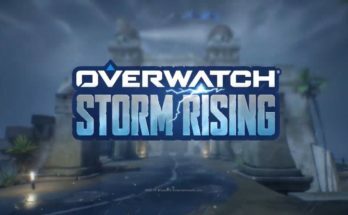 In addition, Blizzard has pledged a donation $250,000.00 USD ( £ 184098.75) on top of proceed earnings. The skin can be purchased through the game as advertised on console. However, the best way to purchase a skin is going through the playoverwatch website and log in with your battle.net account. The skin is non transferable. So if you have multiple playing platforms, then you will need to buy the skin for each of them. The skin is priced at $15 USD ( £ 11.06 ) each. Players can also receive Twitch related goodies by participating in a number of select charity streams featured for the event. Plus, viewers will get the chance to unlock pink Mercy related Twitch emotes. And if all those treats aren’t enough for you, pre-ordering is now available for an exclusive Pink Mercy T-shirt. 50% of the t-shirt cost will be donated to the BCRF, along with proceeds from the in-game purchases. Pre-order window ends May 21st. 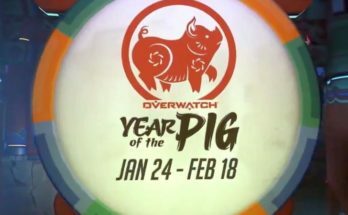 Want to keep updated on all things Overwatch? Subscribe and Donate to miso.moe on Patreon!! To find out more about the Breast Cancer Research Foundation, please visit their website at bcrf.org. Previous Article Fortnite x Avenger’s Infinity War: Limited Time Mash-Up! 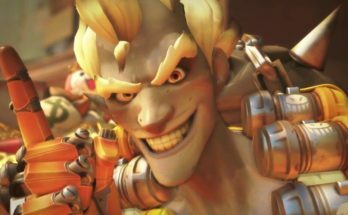 Next Article Competitive Deathmatch: Is it Broken?